"Great Scot!" (Doc Brown - Back to the Future.) Where did April go? 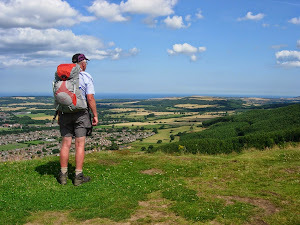 And what to write when not walking when you've dedicated a blog to only wittering about that subject (walking) - that's the thing! A gear report can provide a worthy stopgap but with no new kit to speak of, I can't use that ploy. Notes on preparations and planning is permitted but I have been remiss (lazy) in that area. And the return reader will tire of pathetic variations on a theme of "limited to walks of less-than-a-mile because my dog can't manage further in her old age." That's the situation though. 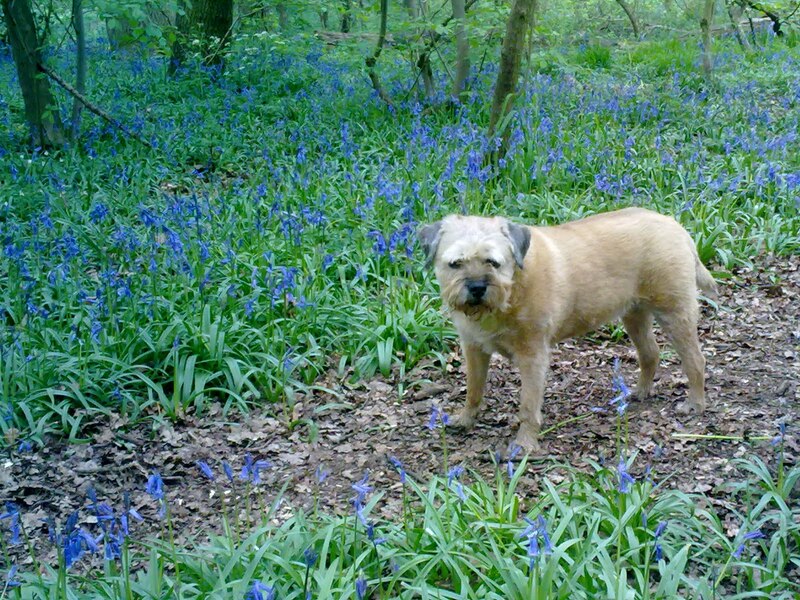 Holly, my elderly Border Terrier, just can't walk far, and I can't bear the thought of leaving her in kennels to allow me off the leash. She is happy with my daughter and family or with my sister and family though, and more to the point, selfishly, I'm happy for her to be with them. So, I'm very pleased to announce that arrangements have been made that enable me to head north next week. Our needs and my peace of mind will be satisfied when Holly takes it easy at my sister's house in Cumbria and I go walkabout (and drinkabout) in Northumberland. 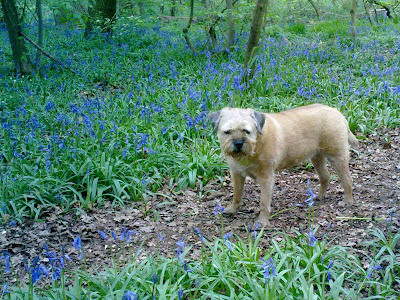 In June, daughter and family will take care of Holly allowing me a week to cross Dartmoor and Exmoor. After that, in July, sister is on duty again giving me a week in the Lake District. I know Holly's not an Airedale but how about a caster on each leg and a hoop up the back ? Well, it's good to see you back in class. Looking forward to hearing your new adventures. Dan - casters for me too before long. Alan - With TGO almost here, plenty for me to look forward to reading as well.